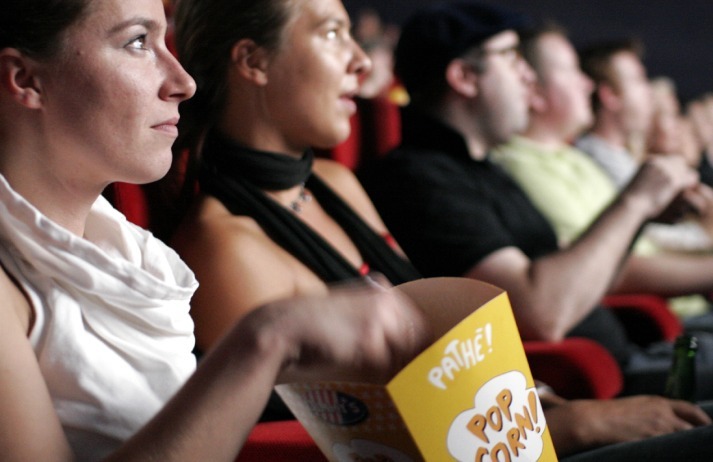 According to research cinema admissions have dropped by 8.3% between 2012 and 2014. In the UK alone the box office fell by 15%. As more and more movies leak online or are added to streaming services quicker than ever, how can cinemas retain their audiences? From Twitter working with ESPN enabling live NBA replays, to Grand Theft Auto V's companion app, people are given more unique ways to use second screens than ever. Now, Shazam has joined forces with National Cinemedia to tie audio recognition features into cinema adverts. Social cinema clubs in France are booming. LA Confidential with a side of curated food: from sweet and savoury éclairs to gourmet 'truffle' popcorn. Restaurants like Les Bobines are even holding impromptu screenings in their basements. Avegant's Glyph headset is a personal cinema experience - with no screen. Instead, images are projected straight onto the viewer's retinas. The project sought funding via Kickstarter, and raised their asked amount of funds in a matter of hours. South Korea's largest cinema chain will soon be showing 270-degree movies. New technology ScreenX projects footage onto a theatre's side walls, providing a panoramic experience, but challenging filmmakers who will need to take extra screens into account.